Peter Fagan arrived in Sydney in 1821 from Ireland. In 1830 he took up a land grant of 40.47ha at Point Clare. 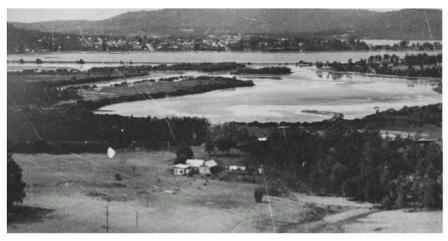 In 1836 he purchased 24.28ha of land at West Gosford. On this farm he built the Red Cow Inn, which became known a short time later as Cooranbean. 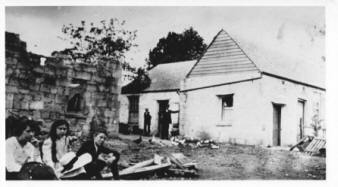 This building is known today as Henry Kendall Cottage. 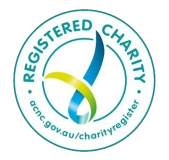 The Fagan family made a significant contribution to the local area through their farming, citrus orchard, mail contracts, timber business, and breeding of cattle and champion race horses. They were one of the first to grow oranges in the Gosford area. Between 1873-1875 the Fagan family cared for and provided employment for the Australian poet Henry Kendall. Henry Kendall was born at “Kirmington”, Ulladulla, on 18 April 1839. He married Charlotte Rutter in 1868. He arrived in Gosford in poor health in 1873 and was befriended by the Fagan family. Members of the Fagan family lived at the cottage until 1920-1921, when Colonel Garnet Adcock purchased it from Mr. Joe Fagan, the last surviving son of Peter Fagan. The property had not been farmed for some years. Garnet Adcock cleared the land and established a corn or maize crop and a substantial vegetable patch. Garnet Adcock experimented in the production of perfumes, and he used citrus oil as a base for his perfumes. At first he purchased fruit from the growers and extracted the oil, throwing the fruit away. He later established a company called Fruit and Vegetable By-Products, which became known in 1924 as Jusfrute. By 1929, the perfumery was forgotten. Garnet Adcock was one of the first in the world to make an emulsion out of oil from the skin of the fruit to use as a flavour for soft drinks. This company was successful for a period of time, but was closed in 1982 due to a lack of fruit in the Gosford district. 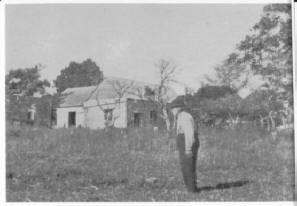 The caretaker of Jusfrute lived in the cottage until 1959, when it was purchased by the Brisbane Water Historical Society. The cottage was built by Peter Fagan, using convict labour, in 1836-1840. The sandstone was hand hewn from the local area. The sandstone blocks are of various shapes and sizes and are held together with a rough mortar of lime, sand and shells. The walls are about 450mm thick. The roof was originally made of oak shingles. The floor was originally compressed soil and covered an area of 79sq m.
…no ‘squares, levels or perpendiculars’ in the place. The walls are two feet thick, but largely rubble and lime-mortar filled. Only the outside walls were roughly dressed stone. A separate building on the western side consisted of a kitchen, dining room and three bedrooms. The exterior walls were made of stone and the interior of cedar. However, this building burnt down circa 1901. 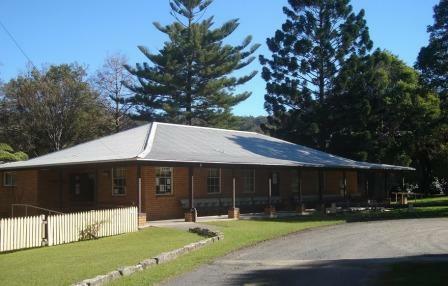 When the Brisbane Water Historical Society purchased the cottage and surrounding grounds, the cottage housed the Society’s collection. However, this space became too small and the need for a larger museum became evident. In 1982 Gosford City Council subsidised the erection of a new building to $50,000, or the cost whichever was the lesser. With the assistance of local businesses and individuals, the Historical Museum was officially opened on 25 September 1983.